2018 was a breakthrough year for cashless festivals across the UK and Europe. 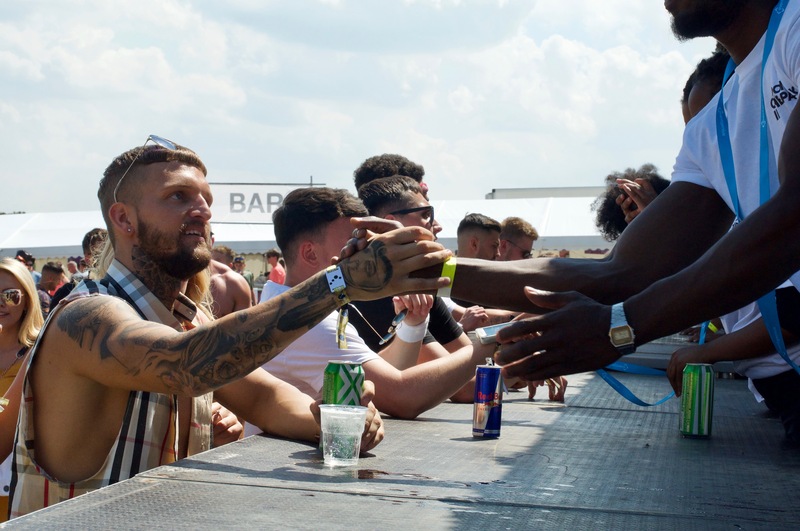 Throughout the continent, more organisers than ever before asked fans at their events to use an RFID wristband to purchase food, drink merch and more with a tap.  It will be remembered as the year that an industry-wide migration to cashless payments – led by our own award-winning solution, Event Genius Pay – began in earnest. A year that rewarded early adopters like our client’s Cocoon in the Park, AMP Lost & Found, JikaJika! and El Dorado with higher revenues and left those who have not made the switch playing catch-up. Popular among both fans and organisers, pre-purchased credits are a key feature of the Event Genius Pay solution. The idea is simple, fans are offered the opportunity to plan their budgets by pre-purchasing credit which can be used to buy food, drink, merchandise and more at any of the vendors or bars across your festival site. Sold via a white-label box-office solution – and often purchased in the same transaction as their tickets – fans will spend an average of £54 on credit, typically generating 31% of overall cashless revenues prior to the event itself. With their tickets and credits safely downloaded to their mobile phone (or printed out), fans can travel to an Event Genius Pay festival without a care in the world. Upon arrival, they’ll be greeted by staff who will exchange their ticket for a wristband, load their pre-purchased credits and take to cashless payments like ducks to water. After making their first purchase with a quick tap of their wristband, the entire process becomes second nature, speeding up service at every bar and vendor, meaning fans spend more time enjoying the music instead of waiting to be served. With the training and support provided by our team, it’ll take just a few minutes with our easy to use equipment for your staff be able to serve fans in seconds and with no money exchanging hands, they’ll make fewer errors and you’ll see a reduction in theft and fraud. With the queues (and drinks) flowing freely, there’s every chance that your fans will need to add to their credit balance during your festival. To make this as easy as possible, we’ll work with you to position top-up booths strategically around your site, allowing fans to add an average of £35.81 more credit via cash or card. Alternatively, they can use our mobile top-up option to buy credit on their phone which can be redeemed the next time they go to a bar or vendor. Since launching our cashless services in 2016, our experienced team have served 1.3 million fans and processed over 4 million transactions, meaning they’ve seen it all – including network outages. That’s why Event Genius Pay has been designed to work without the need for network connectivity. So even if your location has a flaky network connection – or no connection at all – you can be confident that service at the event will never grind to a halt. By making the whole process simple for fans and easy for staff, our evidence shows that switching to Event Genius Pay can help increase revenues by up to 25% in its first year of use and the improvements don’t stop there. Clients who make the switch to a multi-year contract with us have seen an overall increase of up to 39% in customer spend by year two of service. With no cash handling at bars and vendors, there is no need to move cash and change around the site to keep service running smoothly. With less cash to count and our systems keeping track of every penny spent, reconciliation becomes a breeze. 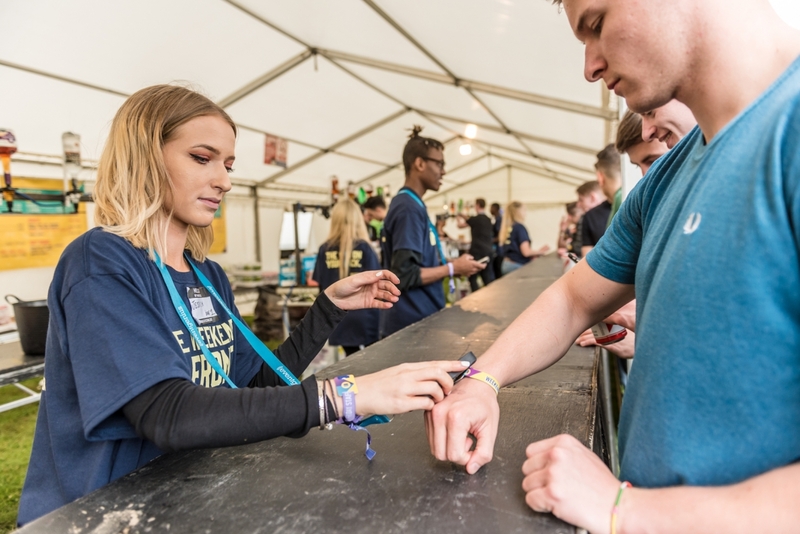 With a unique ID number on the wristband of each customer, it’s possible for organisers to monitor the spending habits of every single fan, who will spend an average of £8.37 on each of six purchases they typically make at Event Genius Pay events. With the ability to track VIP customers, like the one fan who spent a whopping £946.19 at one of our client’s festivals, it’s a hugely powerful tool for any organiser to have. Our mobile and desktop reporting panel contains more than just data on customer spending. With accurate stats that show the times of day/night that each bar, vendor and even device has been busiest, your operations team can devise more accurate resource and staffing plans to ensure an even better level of service. By using the data provided by Event Genius Pay, it’s possible for your team to design more sophisticated pricing models for your vendors, meaning you can take a percentage of each sale rather than a single set fee.